As part of the Bestseller clothing group, Only & Sons is a dynamic menswear brand that takes inspiration from streetwear, urban and classic masculine trends. Based in Denmark, Only & Sons is a casual but distinctly edgy label that creates innovative clothing aimed to inspire. Only & Sons men's clothing includes dapper fitted shirts, minimalistic trench coats and sleek leather jackets as well as bold printed t-shirts and jeans that reflect a wide range of denim treatments, fits and finishes. From the hipster appeal of an ethnic-printed sweatshirt to the sophistication of a tailored wool-mix coat, Only & Sons is a brand that balances diverse trends in a way that's fresh and seamless. Top up your everyday staples with a selection of printed tess from this edit of Only & Sons men's t-shirts. Look for striking motifs, vibrant colour mixes and slogans to breathe life and personality into the look. For a smarter take on the Only & Sons aesthetic, go for a long-sleeved top from Only & Sons men's jumpers and cardigans. 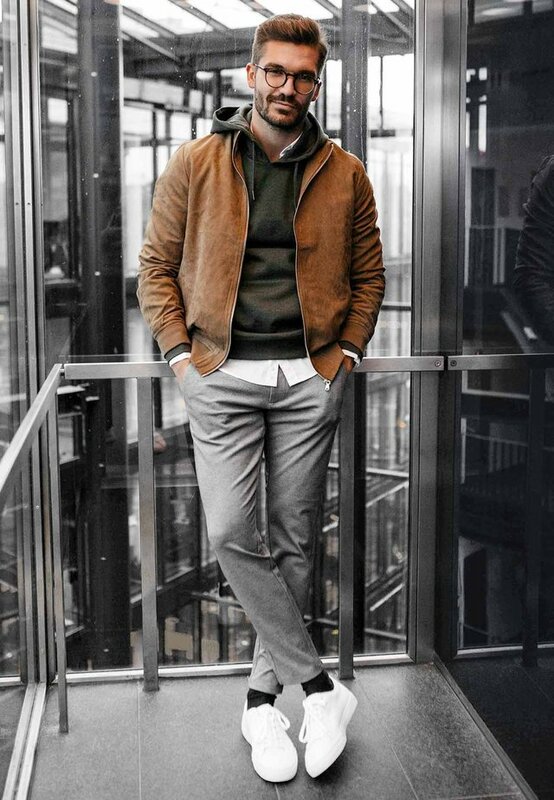 Try a block coloured sweater with contrasting sleeves or defined pocket detail for a subtle way to change things up.